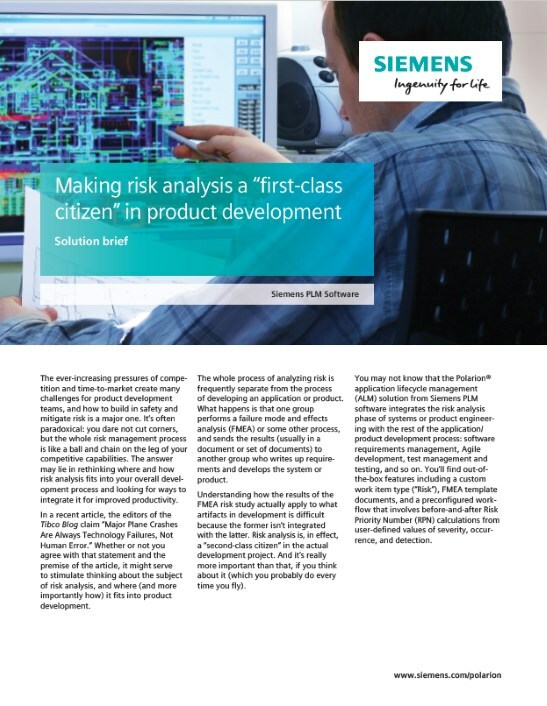 Download now: "How to Make Risk Analysis a “First-class” Citizen in Your Development"
Safety, risk assessment, and risk mitigation can be a drag on your time-to-market, but you definitely can’t cut corners in this area. The answer may lie in tying in this phase more closely with your overall development process. This handy eGuide looks at typical problems and discusses an approach to improving collaboration and efficiency.